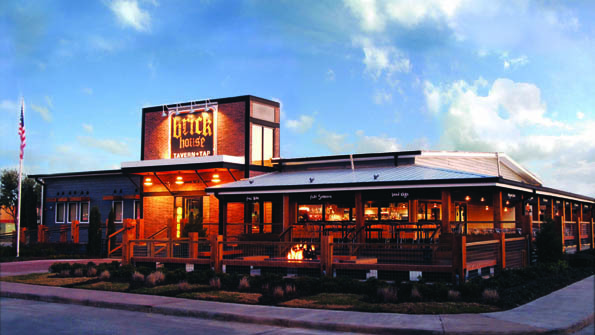 Ignite Restaurant Group Inc. has reportedly been in discussions with two restaurant companies for a possible sale of its Joe’s Crab Shack and Brick House Tap + Tavern brands, as the operator faces an extended June 6 deadline with lenders. Last week, the Debtwire service reported that Ignite was in talks with Houston-based Landry’s, which once owned Joe’s Crab Shack, and Nashville, Tenn.-based American Blue Ribbon Holdings LLC as it faced a second lender deadline reported to the Securities and Exchange Commission in May. Ignite is also considering a debt-for-equity swap with lenders, Debtwire reported. Houston-based Ignite reported in the SEC documents that the forbearance pact involved a 2014 credit agreement with at least $133.3 million in loans and at least $12 million in letters of credit. Private-equity firm J.H. Whitney & Co. Capital Partners owns about two-thirds of Ignite’s stock. Landry’s, American Blue Ribbon Holdings and Ignite did not reply to emailed questions by press time. Fidelity National Financial owns a majority stake in American Blue Ribbon Holdings, parent to the O’Charley’s, Ninety Nine Restaurant & Pub, Village Inn and Bakers Square brands. Landry’s, a hospitality company privately owned by Tillman Fertitta, owns such brands as Morton’s, Rainforest Café, McCormick & Schmick’s and the Golden Nugget. Landry’s sold Joe’s Crab Shack in October 2006 to JCS Holdings Inc., a unit of J.H. Whitney, for $192 million. In early April, Ignite named a new CEO and said in SEC documents that it was looking for a sale or would consider bankruptcy protection. The Nasdaq Stock Exchange delisted Ignite’s stock earlier this year. Ignite Restaurant Group saw sales decline at Joe’s Crab Shack and Brick House Tavern + Tap in the first quarter ended April 3. Joe’s reported a 14.3-percent decline in same-store sales, and Brick House saw a 12.6-percent drop. For the first quarter, Ignite swung to a loss of $3.3 million, from a profit of $1.5 million the previous year. Revenue fell 19.3 percent, to $95.1 million, from $117.9 million the previous year. As of April 3, Ignite had 112 Joe’s Crab Shack restaurants and 25 Brick House units in 32 states. The company franchised three Joe’s Crab Shack locations in Dubai.